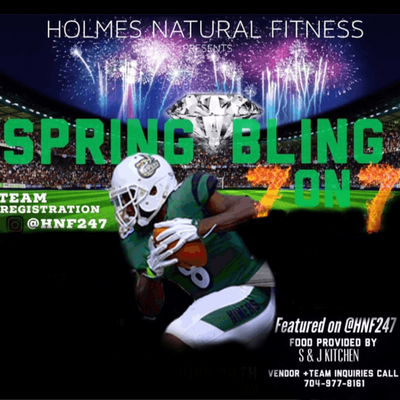 Thanks for Joining the Second Annual HNF Spring Bling 7 on 7 . This will be a great one , football, fun , prizes. Glad you decided to come play the sport you love on a high competive level We have flag football players from all over North and South Carolina. 60% of our players that competes at our flag tournaments have played on a high level of Football such as, Ex NFL to D3 experience players. Our last event we raffled off a 50 inch smart TV between the fans and the players . 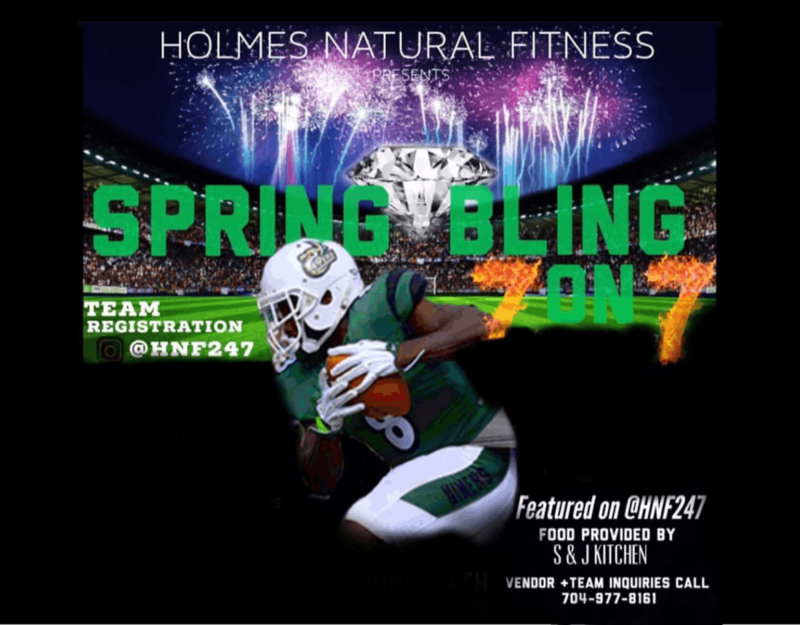 So be sure to tell your family to come out in watch your team put on a show !!! !